The Authorised Australian Agent for KWT Machine Systems, Taiwan. 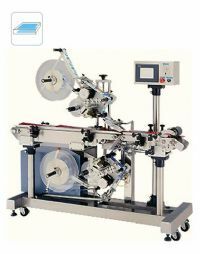 This machine is designed for top and bottom labeling on the flat products. Available for coffee and tea bags. National twin-axis PLC combined with human/ machine interface LCD touch screen controller. Precision 5 phase stepper motor. Stainless steel frame construction and components are standard. 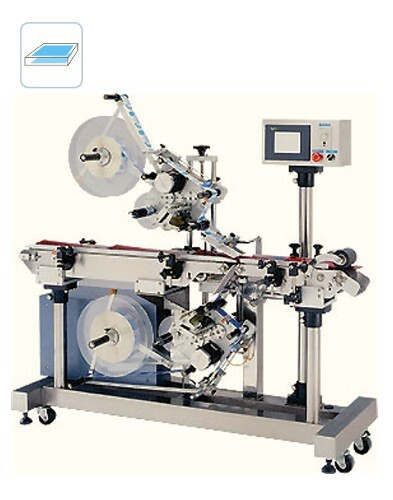 Hot Foil Printer is available (optional). * All prices exclude GST and are shown in Australian dollars. For all orders within Australia, delivery charges are based on order value. The following table lists the delivery cost for each order value price bracket. However, additional delivery + handling charges may be applied to heavy weight / large size equipments/products, we will inform you of these should there be any changes.